Canada’s Tilray (NASDAQ: TLRY) has announced the company has exported more of its CBD 100 product for use in treating Australian paediatric patients. Last year, the company exported medical cannabis products to the Australian state of Victoria, which were distributed to 29 children with very serious intractable epilepsy – the first patients in Victoria to access legal medicinal cannabis. Three hospitals received products in the latest export says Tilray – Royal Children’s Hospital, Monash Children’s Hospital and Austin Health – via subsidiary Tilray Australia New Zealand Pty Ltd.
Tilray CBD 100 is a medicine taken orally with a target concentration of 100mg/ml of cannabidiol, a non-intoxicating cannabinoid that has shown positive results in managing various forms of epilepsy. 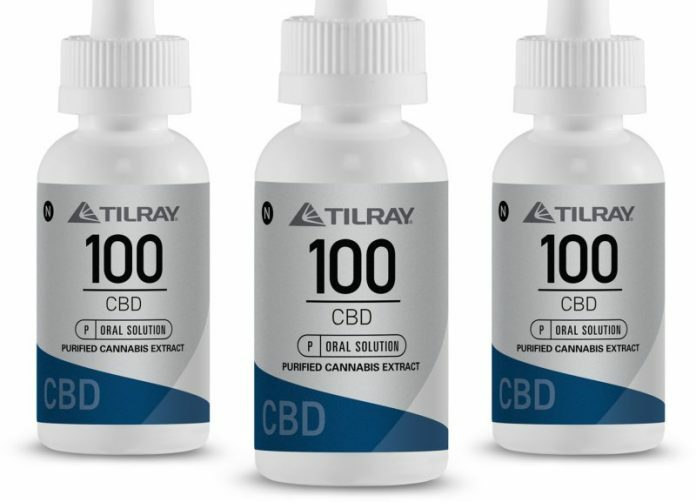 The product was shipped from Tilray’s Nanaimo facility. The $30 million facility opened in 2014 and achieved EU GMP certification in 2016. Nanaimo is able to produce 8 metric tonnes of medical cannabis per year and incorporates an extraction and R&D centre. Another new facility – High Park Farms – features 13 acres of greenhouse located on 100 acres of property in Enniskillen, Ontario. In other recent news from the company, last week it announced the U.S. DEA had granted approval to import a Tilray cannabinoid study drug consisting of cannabidiol (CBD) and tetrahydrocannabinol (THC) into the United States from Canada for a clinical trial at UC San Diego’s Center for Medicinal Cannabis Research (CMCR). The study will be examining product safety, tolerability and efficacy in relation to treating Essential Tremor (ET). The week prior, Tilray said it had received necessary regulatory permits in Canada and Germany to export medical cannabis flower for distribution to German patients. Germany is currently experiencing a shortage of medicinal cannabis products and will heavily rely on imports for the next couple of years while its own sector gets into gear. Last week, Tilray set the NASDAQ on fire. On Wednesday, TLRY shares opened 50.7% higher and trading was halted a number of times. While shares closed the day up 38% at $214.06, in the following days they then plummeted, closing Monday at $99.50. However, the news regarding Australia appears to have given it another boost, with TLRY shares closing at $107.88 (+8.42%) today. Tilray was one of the first companies to be licensed to produce medical cannabis in Canada. Previous articleCan Cannabis Sedate Lobsters?